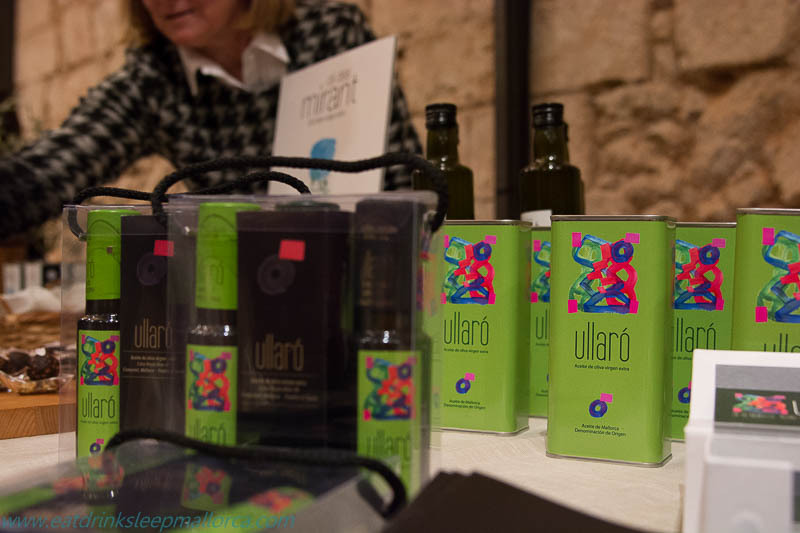 Presentation of the latest olive oils from Mallorca at the Aljub, Es Baluard. 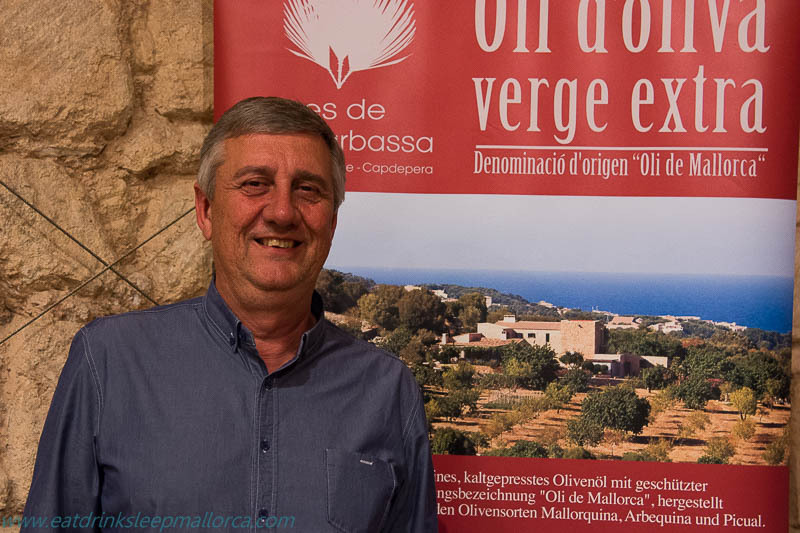 Mallorca offers a huge choice of delicious olive oils from different producers – 23 of which attended a presentation last night of oils produced from the latest harvest. 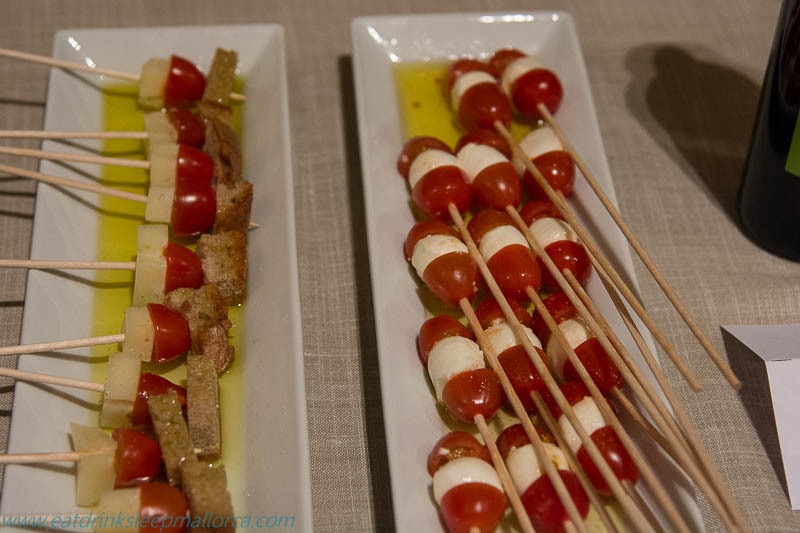 The event took place in the Aljub at Es Baluard Museum of Modern and Contemporary Art in Palma. 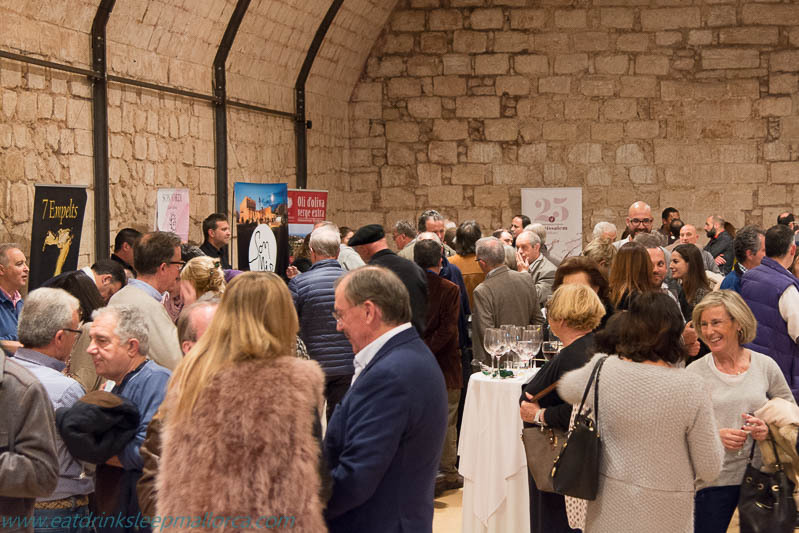 The Aljub was once an underground water storage facility but is now an attractive and spacious venue for events – and proved ideal for this one, which attracted a lot of visitors (including some well-known chefs on the island). 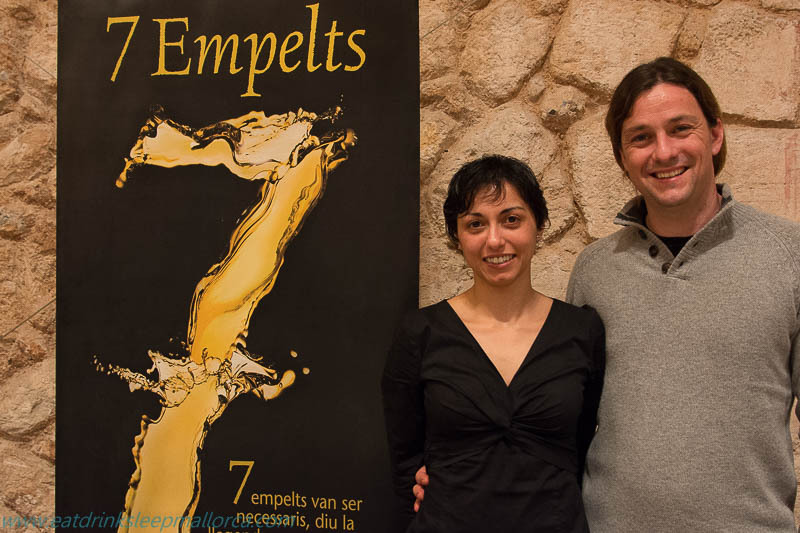 Chef/patron Marc Fosh of Michelin-starred Marc Fosh in Palma, with Iris – his restaurant manager and wife. 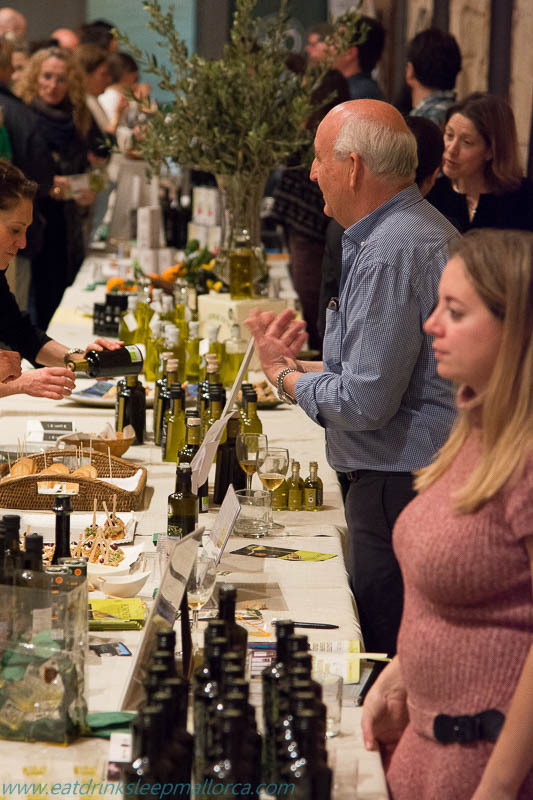 Tables were set up around the walls of the space and each producer set out their wares for visitors to see and try. 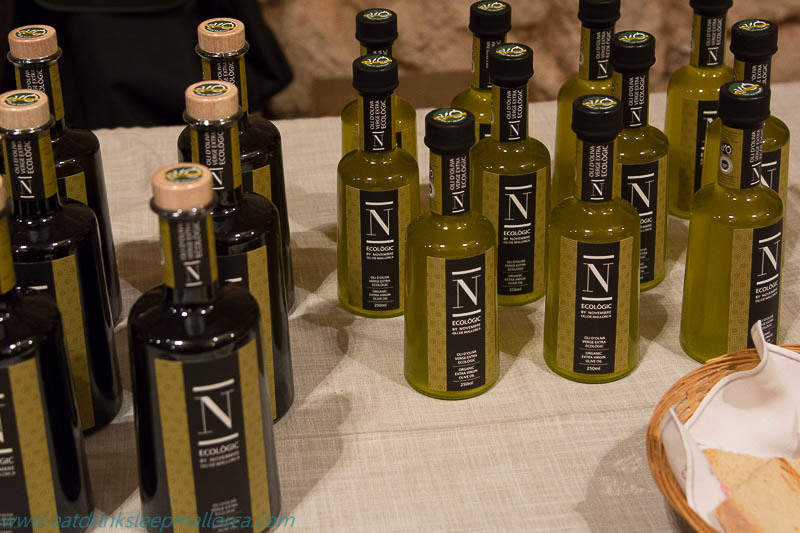 We were able to taste the oils – and an item of food made from olive oil, which each producer had provided. 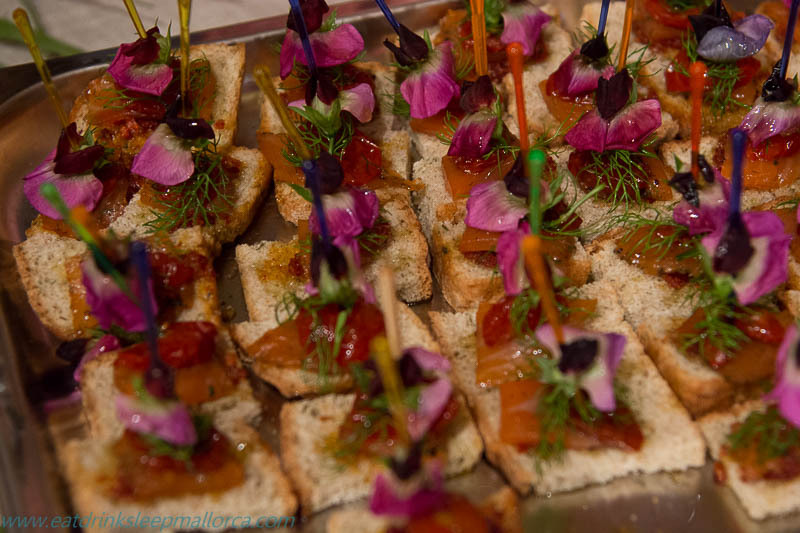 The tasty morsels ranged from simple bread and oil (and salt, of course) to silky chocolates and desserts. Wine and soft drinks were available for visitors – although, as I was driving, I opted for water (which was also probably better for a spot of serious olive oil tasting). 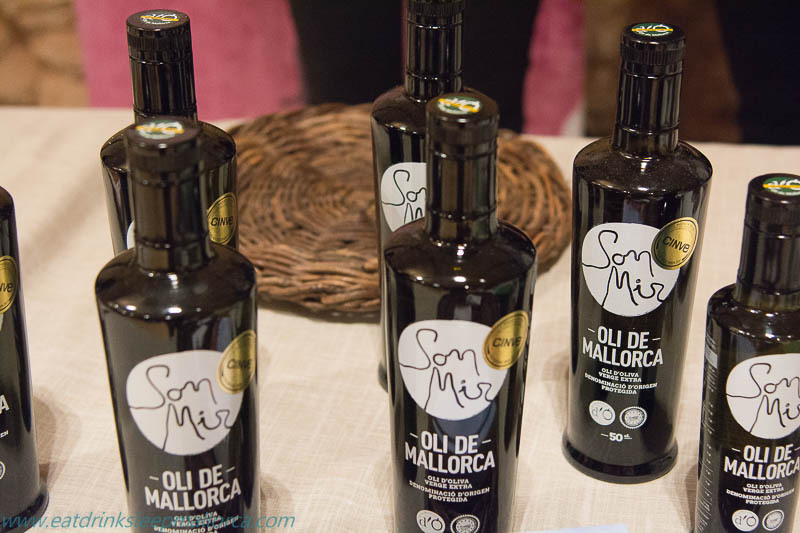 All the featured oils were designated (DO) Oli de Mallorca – a mark of quality introduced on Mallorca in 2002. I didn’t taste them all, but enough passed my lips for me to make kissing The Boss on my return home a slippery encounter! Biniagual is one of several wineries also producing olive oil and, like their wines, it’s very good. Ecological Oli Novembre, used with the llonguets served at Lorien ale house in Palma. 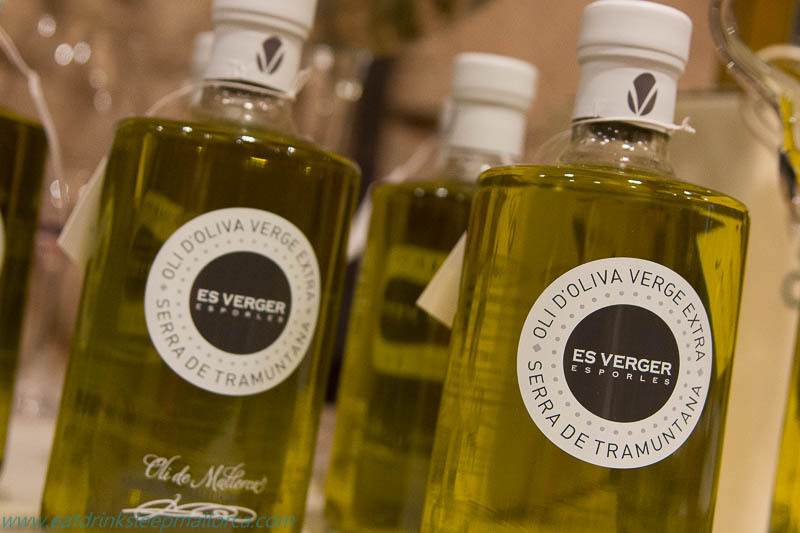 The only Demeter olive oil produced on Mallorca. 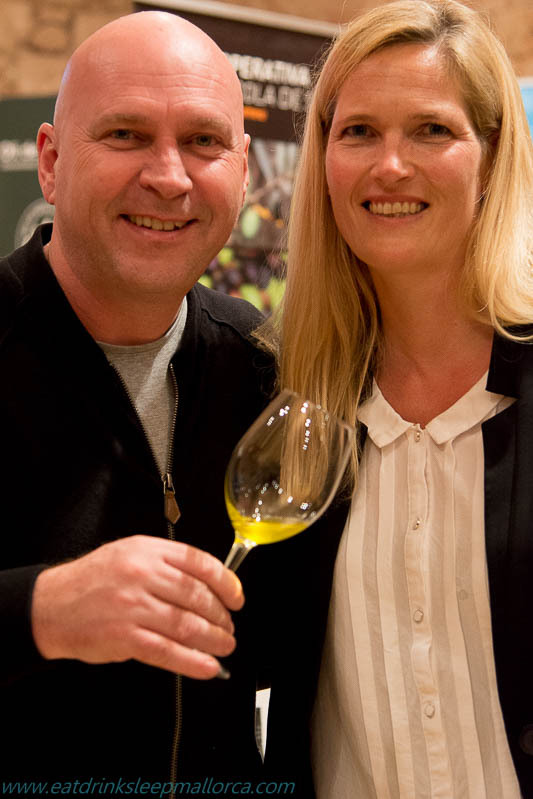 Tiffany Blackman with Aubocassa’s new L’Amo olive oil – presented for the first time, in Madrid this week. 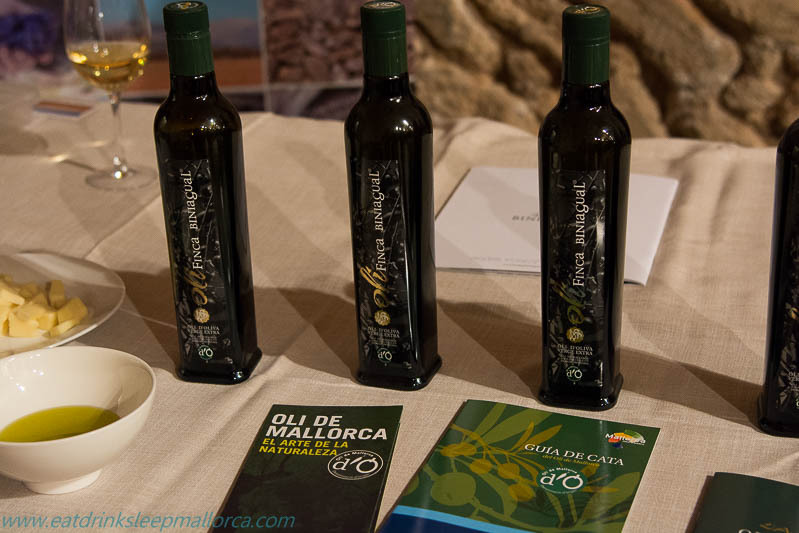 Finca hotel Cases de Son Barbassa also has its own oil. With so many luscious and varied oils on offer on Mallorca, it’s hard to believe that when I was a little girl living in the UK, olive oil was usually sold at chemist’s shops, in small bottles for medicinal purposes. My father used to have a measure of olive oil stirred into his daily breakfast porridge for the health benefits…and he’s certainly in great shape as a result. 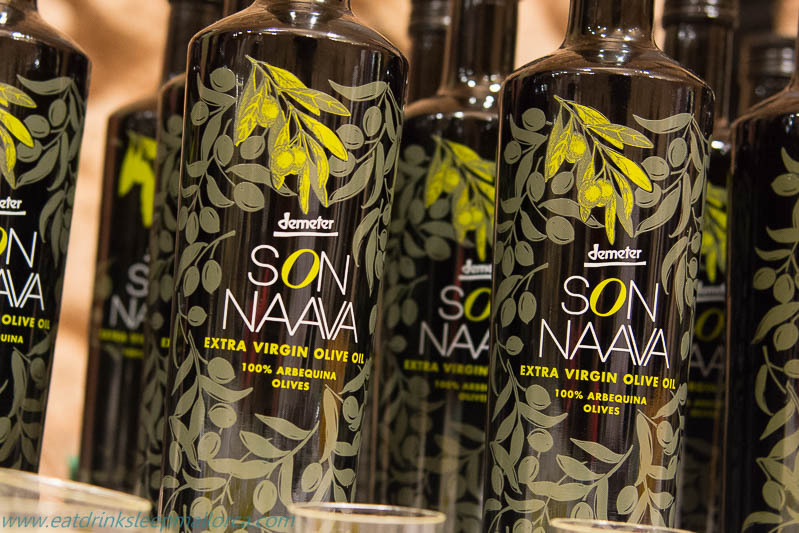 On this island, and throughout the Mediterranean, the benefits of olive oil have been known for much longer. 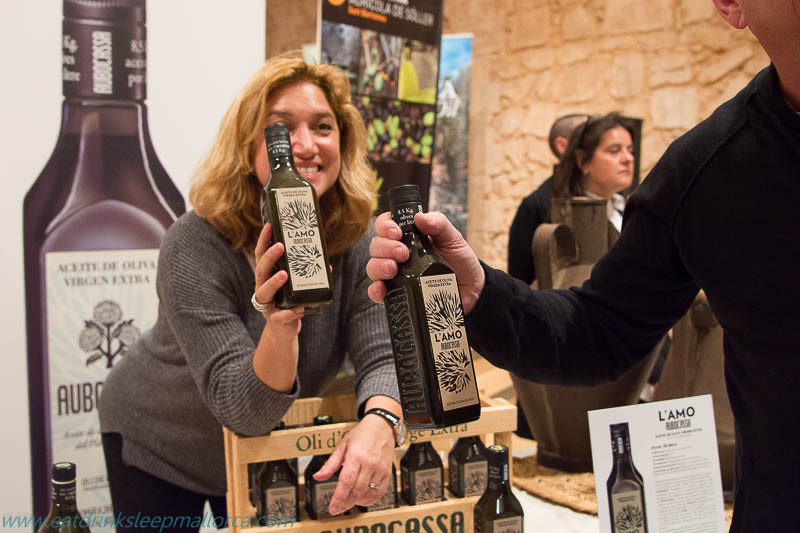 And having such a great choice of Mallorcan olive oils has been one of the many benefits we enjoy about living here. A peep in my kitchen would usually reveal three or four bottles of different oils on the go. Several friends who have visited for lunch have brought us a bottle of interesting Mallorcan olive oil, instead of a bottle of wine – and what a great gift to bring. 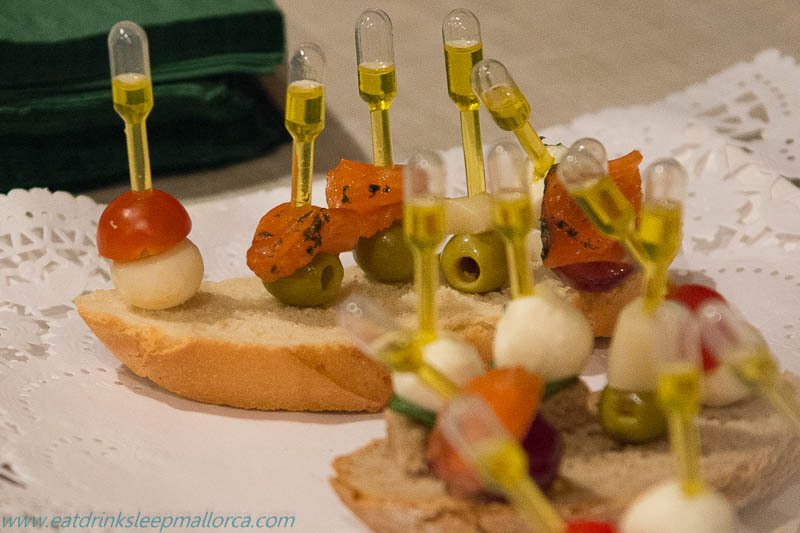 Keep drizzling Mallorca’s liquid gold…you know it’s good for you.